Ready to schedule a time to talk or interested in working with me? Fill out the form below to email me and inquire about my Ayurvedic in person services or my signature online programs. Please also use this form to schedule an appointment. I look forward to getting to know! I am looking forward to seeing you. To reschedule or cancel, please call within 48 hours of your appointment. Cancellations made with less than 24-hours advance notice may be rescheduled but not refunded. RN, CAS, is a Clinical Ayurvedic Practioner, Massage Therapist, Registered Yoga Teacher, and Certified Yoga Health Coach. Annette is also a certified Ayurvedic Abhyanga Massage Therapist, Marma Therapist and Pranic Healer, from the California College of Ayurveda. 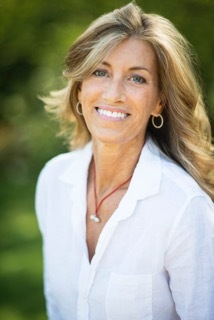 She is a graduate of California College of Ayurveda; a graduate of Marymount University and the Institute for Integrative Nutrition in New York City, and holds a Certification in Nutrition and Cancer from the Arizona Center for Integrative Medicine. Annette’s past experience as a Registered Nurse include Surgery/Trauma, Kidney Transplant and Bariatric Unit; Oncology/Bone Marrow Transplant Unit; and Public Health Nursing. Her past adventures also include serving in the U.S. Navy as a Naval Intelligence Officer and traveling around the world to study Nutrition, Ayurveda, and Yoga. Annette is married, has two sons, and lives in Los Angeles, California. Currently, Annette is completing her studies in the Doctor of Ayurveda program, and runs her own Ayurvedic Clinic and Spa, providing Ayurvedic counseling and services to women and men helping them transform their lives and health.